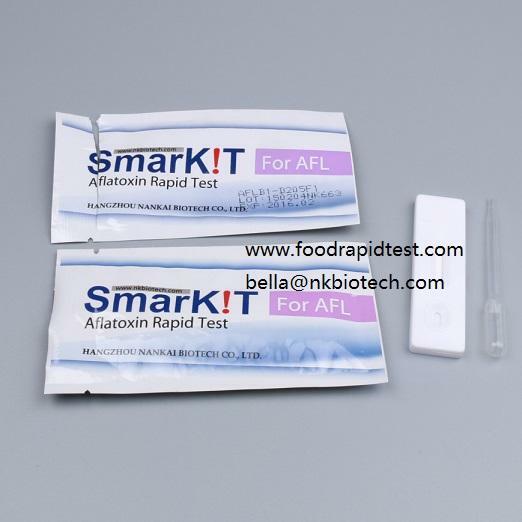 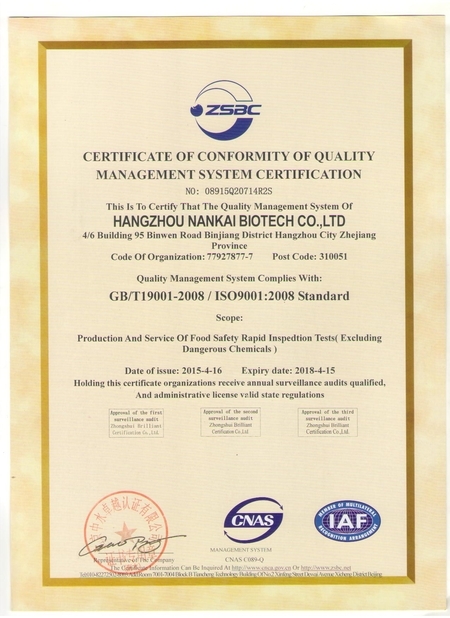 The Nankai Biotech Aflatoxin B1 Rapid Test Kit based on Colloidal Gold Immunochromatography assay is a rapid, one step test for the qualitative (or quantitative) detection of Aflatoxin in Milk, Animal feed, Cereals(wheat, wheat bran, corns, Soybean, coconut, millet, flour, nuts). 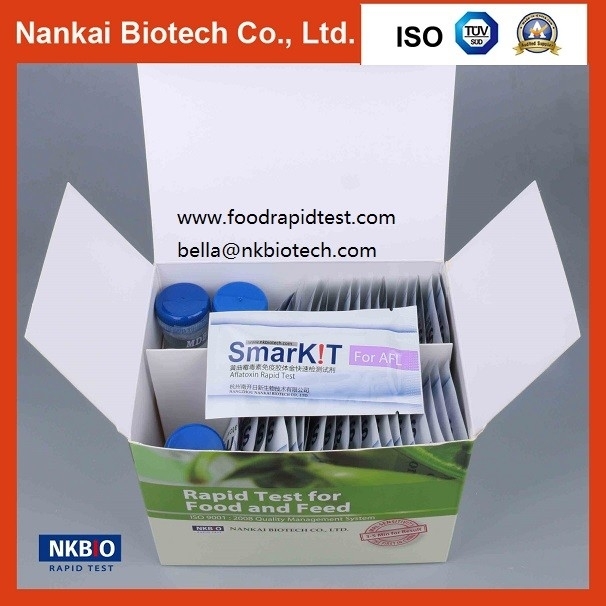 Store at room temperature (4-30ºC) and keep out of the sun. DO NOT FREEZE or use beyond the expiration date.